Poked and prodded today; both in my psyche and here. You’ll note that while I didn’t paint the place, I did move the furniture a bit. A new address may be in order as well, but the one I truly want is taken and I just can’t think of a suitable replacement. Somehow, in the throes of idea-festering I even made a list of potential posts. Fortunately, I had the good sense to create a list of things I should not post about as well. Not sure I’ll be able to stay completely away from the sticky thickets of some topics but this will not be an opinion blog or exist to argue a POV. That wanders well away from the point. 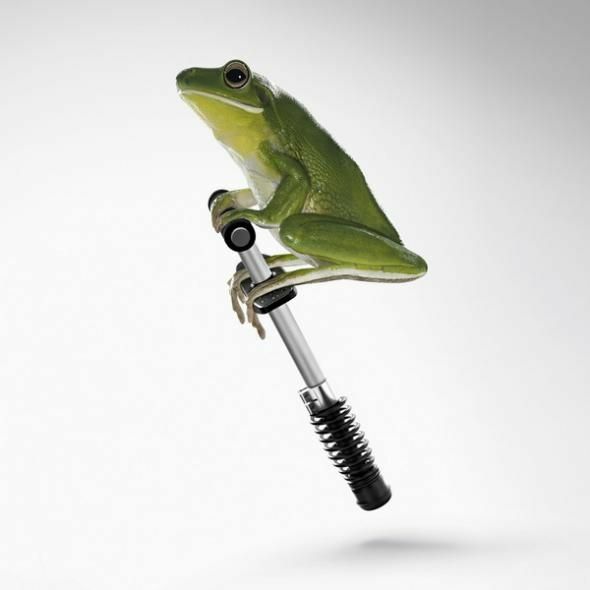 Of everything though, I am sure that this place needed a frog on a pogo stick today.